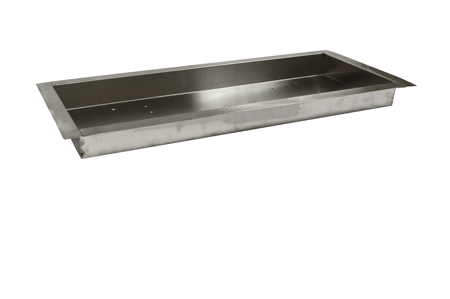 #304 Stainless Steel Construction, Bowl Style 36" x 14" I.D., H-Burner Pan, 2 1/2" deep, 38 3/4" x 16 3/4" O.D. includes outside lip. Center hole for 1/2" gas input, weep holes for drainage built in. This item comes with Free Shipping in the Continental US!